If your scale refuses to budge and you’re ready to pare the pounds, we’d love to help. Whether or not you’re a chiropractic patient at our office, you’re welcome to consult with one of our chiropractors at no charge to discuss maintaining a healthy weight. We’ll talk to you about the importance of detoxification and cleansing on a regular basis and can determine which of our programs might be right for you. We’ve had over 1,000 people go through our programs with great results! Weight problems are usually due to toxicity. If we reduce the toxins in your body, it can function the way it’s supposed to and allow fat to be released instead of held onto. You might be wondering what makes our programs different from something you could do at home. 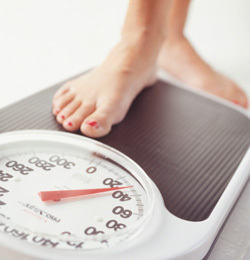 Dieting tends to be a more temporary solution, nearly always involving a rebound effect where you gain the weight back. By cleansing your body, we’ll reduce your toxicity levels to lose fat and gain lean muscle. This easy-to-follow program involves a combination of meal replacements in shake form, cleansing drinks to help your liver and kidney and regular food you can buy from the store. These great-tasting products can be ordered through http://mattpaternadc.isagenix.com. Find out how great you can feel when you experience optimal health. Contact us today for a convenient Saturday appointment!